The USB Type-C connectivity standard that on paper allows for faster data and charging transfers, saw pretty slow take-up rates when it was introduced, as the switch to most major standard changes goes, but it is exploding now, with barely a Galaxy without a Type-C connector. The Catch 22, however, is with the USB Type-C cables themselves. If you want to get a spare or buy one while you travel because you have forgotten the stock piece that comes in the box, you will quickly find out that not all Type-C cables are created equal. While most of them will fulfil the fast data transfer standard, the charging part is not calculated on par in all. Google's own Benson Leung even burned his computer while testing one of the shoddier cables out there, and went on a crusade to sort out the Type-C cable mess, reviewing most of them on places like Amazon, and giving five-star ratings only to those that are power-compliant. Here are five of the best USB Type-C cables and adapters that were found to be safe to use, and covering the power requirements for the standard to the letter. 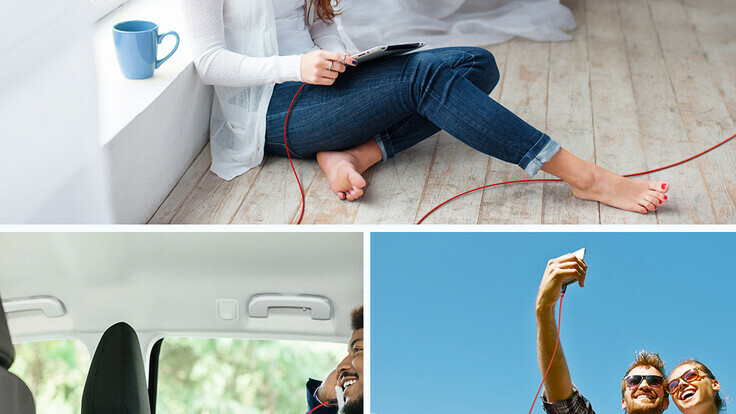 Anker, one of the most trustworthy third-party charging accessory makers, took its sweet time to release a compliant Type C cable, but its PowerLine was worth the wait. It might not have the metal housing of end connectors, but the durable plastic there has both hard and soft point for added protection and kevlar fibers add strength and flexibility to the cable. It houses the all-important 56k Ohm pull-up resistor, so you can rest assured it is fully up to snuff with the Type C standard specs, and the pack of three is unbeatable bargain. A new development in the PowerLine portfolio, this 3-in-1 cable offers two adapters to put on top of the standard microUSB end, and turn it into a Lightning or Type-C cable. It's MFi-certified for Apple gadgets and can output up to 3A in USB-C mode, negating the requirement to carry any other cable with you while travelling. Now, Ventev's Type C creation does come more expensive that the other offerings we listed, but that's for a good reason. 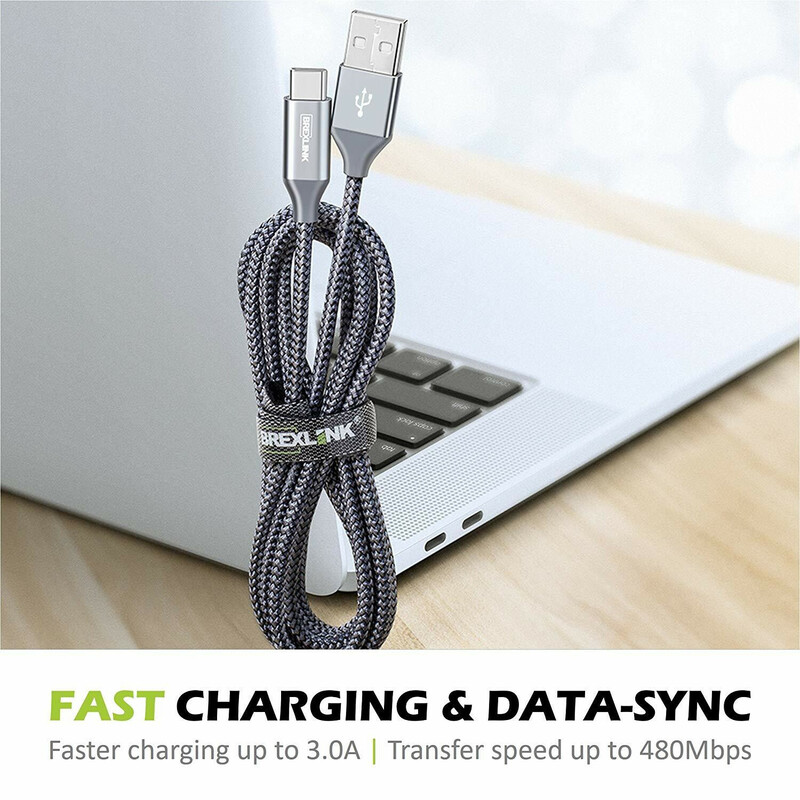 Besides being fully power-compliant with the standard, it comes with a nice flat cable for a tangle-free experience. Not only that, but the Ventev Type C cable is "made using the deep-draw extrusion method much like the Apple and Google plugs, meaning the connector is stronger and doesn't have a visible seam on one side of the plug. The tip is also nicely rounded off so the edge of the plug isn't sharp," as per Benson Leung. With aluminium connectors at both sides and a compact braided link, the BrexLink Type C cable is one of the best values you can currently get in the universe of power-compliant Type C connectivity. Best of all - it comes in black and silver finishes to suit your phone's style.